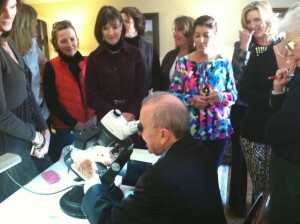 A Jewelry Judge Appraisal is a written report. The most requested type of appraisal report is for insurance purposes stating the approximate replacement value of an item calculated using current appropriate market data, which reflect typical retail prices. In addition to the cut, color, clarity, and carat weight of the gemstone(s), the weight of precious metal is included in the item’s description along with details about the finishing, the craftsmanship and the history of the item. Designer provenance is also considered. A Jewelry Judge appraisal ensures that your insurance provider will be able to accurately calculate the premium for adequate coverage to replace your fine jewelry. All Appraisal Report Packages include one hard copy for your records and one digital copy with photographs for your insurance company. We offer 3 levels of reports at various price points. The cost of our appraisals is based upon the level of detail required and the time spent researching and documenting the information requested. We can appraise loose diamonds and gemstones AND diamonds and gemstones that are mounted. 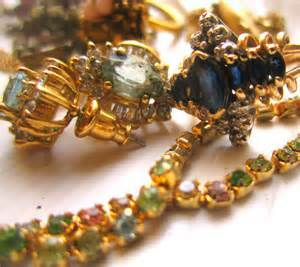 Jewelry items, (mounted stones) require more time, but as a guideline, complete written appraisal reports start at $95. An estimate of cost is given before any appraisal work is done. Supplemental details, images and diagrams may be included at additional charge. The SILVER loose diamond report includes everything you will need for an insurance appraisal including both a hard copy and a PDF copy of your loose diamond appraisal report. The GOLD report includes the Silver Report above AND a “fingerprint” diagram of your diamond. An Engagement Ring report is similar to the Silver Level report. It includes a hard copy and digital PDF and JPG files of your appraisal report..
Over 66 years of valuable experience in the jewelry industry. You don’t find that everyday. 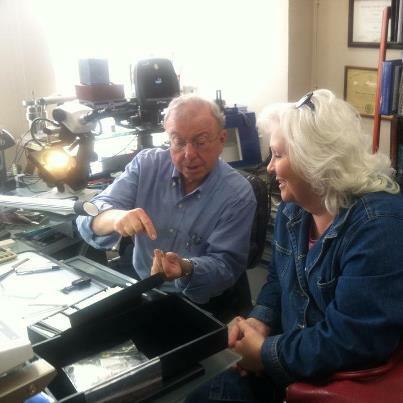 Knowing the difference between 2 gemstones that look identical takes the training expertise and experience of someone like Jewelry Judge Ben Gordon. This KNOWLEDGE and EXPERIENCE is what you are looking for in an expert witness or jewelry evaluation for insurance purposes. Ben has testified in courts as an expert witness about validity of worth and identification of stones. Gems and gemstones may appear alike to the lay person, but to an expert jewelry appraiser, they are as different as fingerprints. Ben Gordon has been called as an expert witness in numerous court cases, giving impartial testimonial as to the authenticity and value of the jewelry in question. With over 66 years of experience, he is more than qualified to appear before his peers in court cases in which an expert opinion is needed. In the past, he has helped the Houston Police Department recover merchandise by identifying stolen items and testifying regarding their value. He has experience working with lawyers dealing with issues of authenticity, evaluation and valuation of jewelry, as well as in cases of complicated divorce settlements and jewelry fraud. Laser Inscription is PROTECTION for your Precious Possessions. 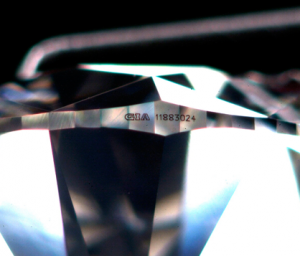 We only offer laser services for loose diamonds with GIA grading reports. 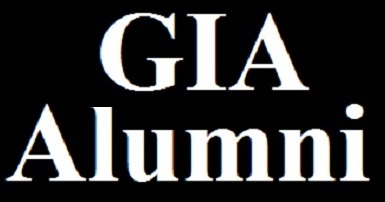 If your diamond is not already laser inscribed, we can send your stone to GIA’s laboratory for you. While you can get almost any text inscribed to make your diamond easily identifiable, we recommend inscribing your grading report number directly on the diamond’s girdle. Insurance companies may offer premium reductions. Check directly with your agent. 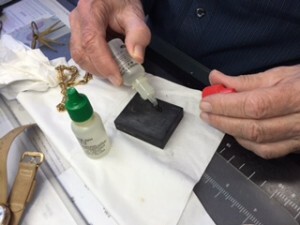 Weighing and testing services provide you with the information you need before you sell your gold jewelry. Everyone should know if their gold jewelry is 14k, 18k, 22k or other purity and as well as its weight in grams or pennyweights. While we do not buy or sell jewelry, we can quickly and accurately weigh your gold before you approach a buyer so you will know approximately what you should receive based upon current market value when you sell. This service is also available for silver and platinum items. We do NOT buy or sell jewelry but we offer custom jewelry design and repairs of all kinds. We also offer watch repair and servicing including Rolex and other fine watches as well as pearl and bead restringing. For a design and repair consultation or additional information, please call Linda Gordon at 713-623-6111. 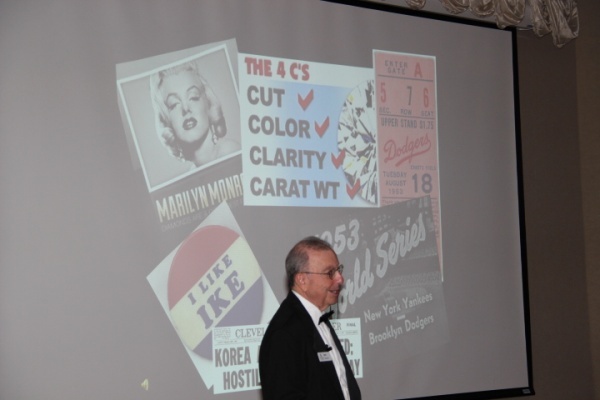 As a jewelry appraiser and consumer advocate, Mr. Gordon speaks frequently to help educate his audiences on how to be a better buyers; ways to protect from consumer fraud; and what must be considered when determining the value of their hard assets. His audiences are broad, ranging from newly engaged millennial and gen- Xers just acquiring fine jewelry as an asset, to baby boomers settling their parents estates and planning for their children’s inheritances. Talks are filled with practical tips and illustrated anecdotes and adventures from personal experience. 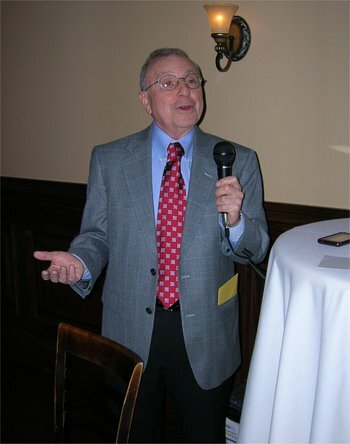 The Jewelry Judge, Ben Gordon has collaborated with insurance and financial professionals and community organizations to provide informative client friendly programs.